Only luggage with maximum dimensions of 1.00x0.60x0.40 m will be accepted. 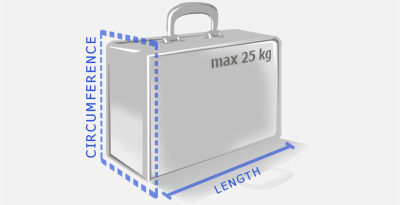 Basically, the length + circumference (small drawing) must not be more than 3.00 m. Maximum weight per luggage item 25 kg. We will not be held responsible for any damage or loss to luggage that exceeds the weigh limit. 550 Euros per item already included in our rates. 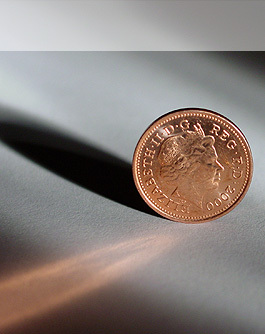 If an item is lost, we will pay the insured amount for each item. Instead, if luggage is damaged during transport, you will receive a coupon worth € 50 per luggage item for another luggage transport service within 3 years. Insurance does not cover valuables (such as mobile phones, cameras and video cameras, notebook computers, jewellery and cash). By disregard of the indicated delivery times of the shipping to the hotel, INSAM will refund 100% of the shipping and return costs. To obtain supplemental insurance, contact us by phone or by email at info@insamexpress.it. In the event of extraordinary and unforeseeable events such as exceptional weather conditions - force majeure - with consequent restrictions on the circulation of heavy goods vehicles, delivery is not guaranteed on time and there is no compensation or refund. For shipments to and from Alto Adige (South Tyrol) payment is made upon delivery or pick-up of the luggage in the hotel. The different payment methods will be announced when the individual service is booked, since they differ from country to country.